Brazil's new interim president, Michel Temer, was an embassy informant for US intelligence, WikiLeaks has revealed. According to the whistleblowing website, Temer communicated with the US embassy in Brazil via telegram, and such content would be classified as "sensitive" and "for official use only." Two cables were released, dated January 11, 2006 and June 21, 2006. One shows a document sent from Sao Paolo, Brazil, to - among other recipients - the US Southern Command in Miami. In it, Temer discusses the political situation in Brazil during the presidency of Luiz Inácio Lula da Silva. Regarding the 2006 elections, when Lula was re-elected, Temer shared scenarios in which his party (PMDB) would win the elections. He declined to predict the race, however, but said there would be a run-off and that "anything could happen." 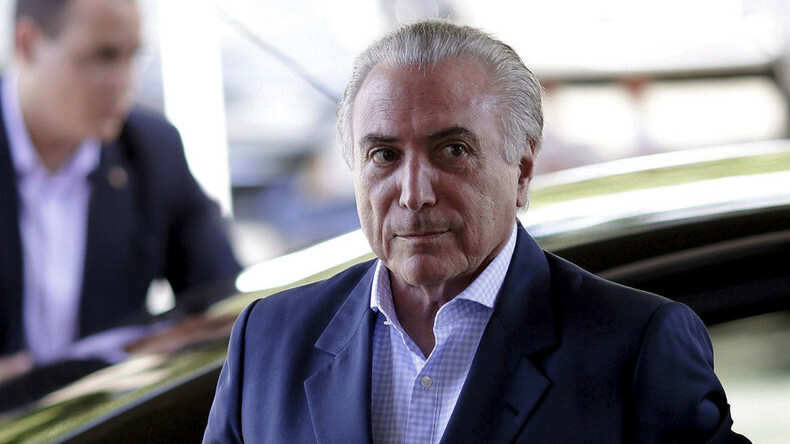 Temer said the PMDB would elect between 10 and 15 governors that year, and that the party would have the most representatives in the Senate and thus the House of Representatives. This would mean that the elected president would have to report to PMDB rule. "Whoever wins the presidential election will have to come to us to do anything," Temer reportedly said. Temer has replaced Dilma Rousseff, who was suspended from office earlier this week, after the Senate approved impeachment against her. Rousseff was suspended from her post for at least 180 days after senators voted 55 to 22 to punish her for manipulating budget data, ahead of her re-election in 2014. The left-wing politician claimed that Brazil was in a strong economic position, but since she convincingly won the vote, the economy has unraveled, putting Brazil in the worst recession for decades.